With a stay at Dusky Lodge & Backpackers in Kaikoura, you'll be minutes from Kaikoura Beach and close to Kaikoura Museum. This hostel is within the region of Fyffe House and Mount Fyffe.Rooms Make yourself at home in one of the 40 guestrooms. Complimentary wireless Internet access is available to keep you connected. Housekeeping is provided daily, and cribs/infant beds (complimentary) can be requested. Be sure to enjoy recreational amenities, including a spa tub, a sauna, and a seasonal outdoor pool. This hostel also features complimentary wireless Internet access, tour/ticket assistance, and barbecue grills.Business, Other Amenities Featured amenities include luggage storage and laundry facilities. Free self parking is available onsite. Offering a barbecue and views of the sea, Bay Cottages is set in Kaikoura. Free private parking is available on site. You will find a kettle in the room. The rooms include a private bathroom fitted with a shower. For your comfort, you will find free toiletries and a hairdryer. Bay Cottages features free WiFi . A flat-screen TV is provided. The area is popular for golfing. Located in Kaikoura, The White Morph - Heritage Collection is by the ocean, within a 5-minute drive of Kaikoura Beach and Fyffe House. 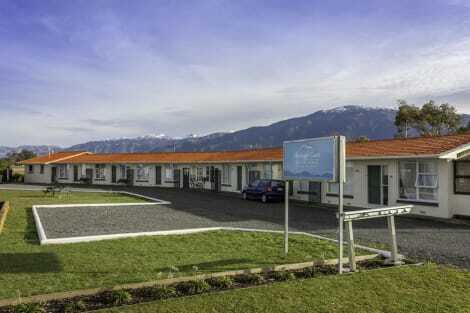 This 4-star motel is 1.1 mi (1.8 km) from Kaikoura Museum and 1.6 mi (2.6 km) from Peninsula Walkway. A complimentary continental breakfast is served daily from 7:30 AM to 9:00 AM. Make yourself at home in one of the 12 guestrooms featuring refrigerators and minibars. Rooms have private balconies or patios. Complimentary wireless Internet access keeps you connected, and 32-inch flat-screen televisions are provided for your entertainment. Bathrooms have designer toiletries and hair dryers. 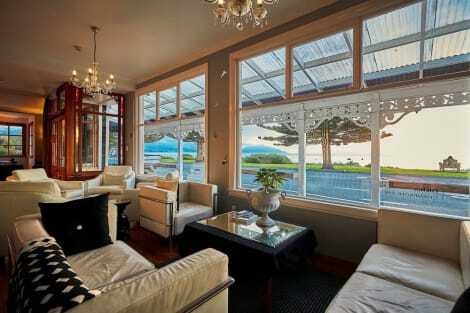 Located in Kaikoura, Waves Apartments is within a 15-minute walk of Kaikoura Beach and Kaikoura Museum. This apartment is 1.4 mi (2.3 km) from Fyffe House and 2 mi (3.3 km) from Peninsula Walkway. lastminute.com has a fantastic range of hotels in Kaikoura, with everything from cheap hotels to luxurious five star accommodation available. We like to live up to our last minute name so remember you can book any one of our excellent Kaikoura hotels up until midnight and stay the same night.